The 2018 Range Rover Velar luxury SUV has impressive performance and innovative features to create an exceptional driving experience for you every time. You will love the power from the 3.0L V6 Supercharged engine paired with the 8-speed automatic transmission. This combination is also very efficient, providing an estimated 18 mpg city and 24 mpg highway. The luxurious comfort and innovative features on this Velar include the Extended Leather Upgrade, 20-way front heated and cooled seats with memory and massage, and the Rear Seat Convenience Pack. Also, enjoy the 20″ 10-spoke wheels with Satin Dark Grey Finish, sliding and tilting glass sunroof with power sunshade, front and rear parking sensors, and autonomous Emergency Braking and Reverse Traffic Detection. 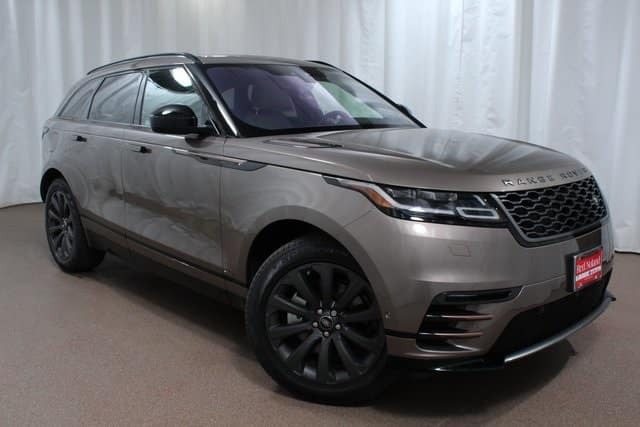 Visit Land Rover Colorado Springs today for a test drive of this performance-filled and luxurious 2018 Range Rover Velar!